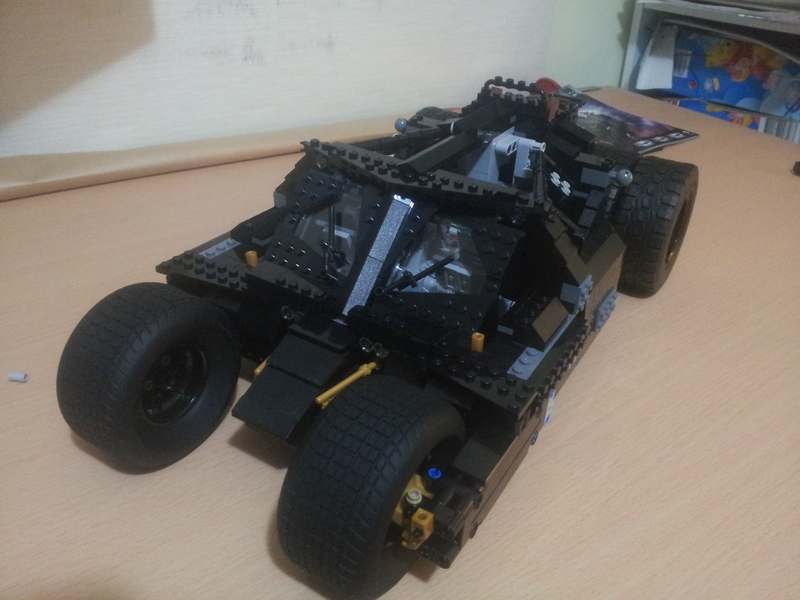 The Tumbler – 2 kilos of black bricks. When the Lego UCS Tumbler was released I just had to get it. As soon as I got home I opened it. Man there are a lot of bags, laying them all out took up both of my desks. My 2yr son was very excited by the size of the wheels and I was too. This was a challenging build, especially with a 2yr wanting to help. He kept on saying, “Put the wheels on”. We had to stop for dinner, baths and bed. As soon as he was asleep I started building again. It was another 4hrs until it was finished. I was very tired, but I wanted to get it done. It’s been a long while since I’ve stayed up late to get something done. This was a lot more fun than finishing an assignment the night before it’s due.